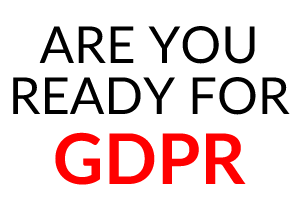 As qualified experts in Data Protection, we help businesses and charities to design Data Privacy and Data Security into their daily operation and to provide assistance in becoming GDPR compliant. Our solutions deliver Data Protection for businesses of all sizes, from our fully Managed IT Security and Support Service for the smaller entities who have no IT department, to our portfolio of bespoke solutions designed to assist businesses of all sizes on their Information Security journey. Whether you are looking to create a Business Continuity strategy, become GDPR compliant or venturing towards ISO 27001, we have solutions which will speed up the process and take away much of the risk and pain on the way. We are passionate about providing the best in data security solutions. With over 28 years experience of supporting businesses with their computing technology, we are confident that we can create an effective and secure environment for yours. We supply our Information Security Technology to organisations across the UK. To maintain the quality of our fully managed service we focus on providing it to businesses in our local area, including Aylesbury, Bicester, Beaconsfield, Buckingham, Chesham, Chinnor, High Wycombe, Long Crendon, Milton Keynes, Oxford, and Thame. With our portfolio of proven cloud hosted monitoring and information security solutions, we can help ensure that your GDPR compliance, ISO 27001 program and the daily operation of your business is protected and kept safe from the ever increasing threat of cyber attack and data security breach. 1) The "Fully Managed IT Service - for smaller organisations"